"We have carefully created a range of pieces to present you with a number of colour options and design styles for this time." 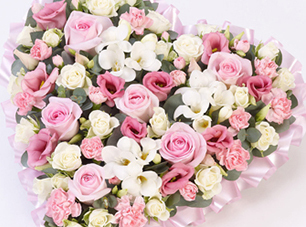 You may simply choose from this selection or you may prefer to discuss your requirements further with our carefully selected, local florists. 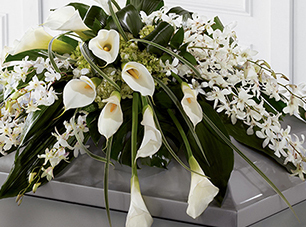 Combining their floristry design skills with your own thoughts, you local florist will carefully select a style and the flowers and colours to create your own special, individual tribute. Call our Exeter office on 01392 40 90 00 to discuss your requirements. 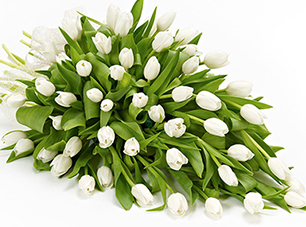 We, at Shoobridge Funeral Services tailor the funeral service to meet the family's wishes. 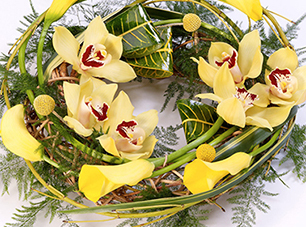 After discussing the requirements, we will take detailed instructions concerning the services and facilities to be provided and then act to ensure the funeral is dignified and that all aspects are delivered to the highest professional standards. Please contact us at your earliest convenience to discuss your individual requirements. 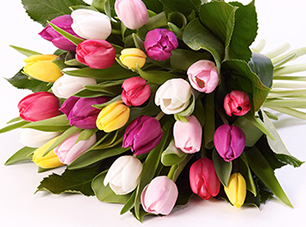 You can place your order with us directly and we can accept payment over the phone. 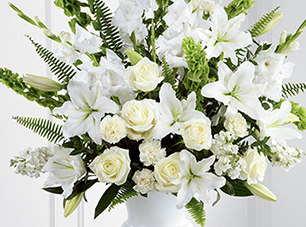 Alternatively, you can place you order directly with the florist, providing them with the date and time of the funeral and any personal messages to be included with the floral tributes.